Abandoned by her mother on Jellicoe Road when she was eleven, Taylor Markham, now seventeen, is finally being confronted with her past. But as the reluctant leader of her boarding school dorm, there isn't a lot of time for introspection. And while Hannah, the closest adult Taylor has to family, has disappeared, Jonah Griggs, the boy who might be the key to unlocking the secrets for Taylor’s past, is back in town, moody stares and all. 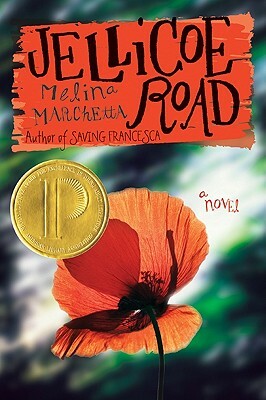 In this absorbing story by Melina Marchetta, nothing is as it seems and every clue leads to more questions as Taylor tries to work out the connection between her mother dumping her; Hannah finding her; Hannah’s sudden departure; a mysterious stranger who once whispered something in her ear; a boy in her dreams; five kids who lived on Jellicoe Road eighteen years ago; and the maddening and magnetic Jonah Griggs, who knows her better than she thinks he does. If Taylor can put together the pieces of her past, she just might be able to change her future. Melina Marchetta lives in Sydney. She is also the author of the award-winning novels Saving Francesca, Looking For Alibrandi, and Finnikin of the Rock. Looking For Alibrandi was released as a major Australian film.